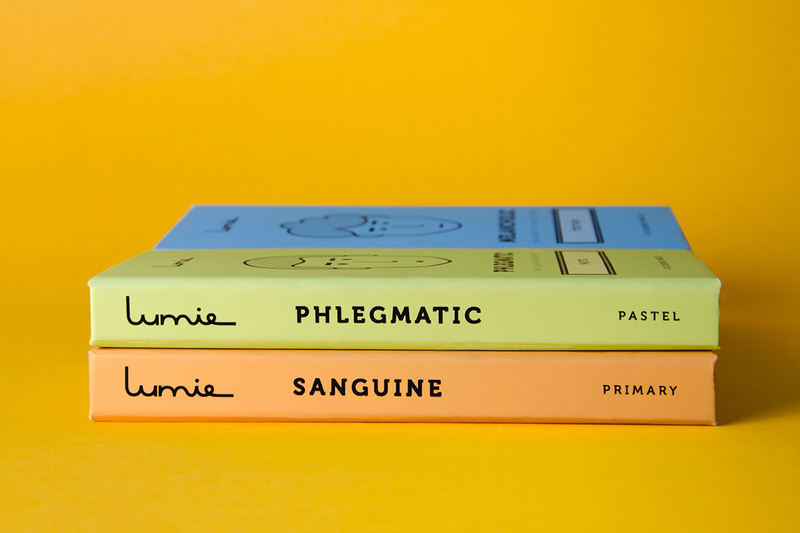 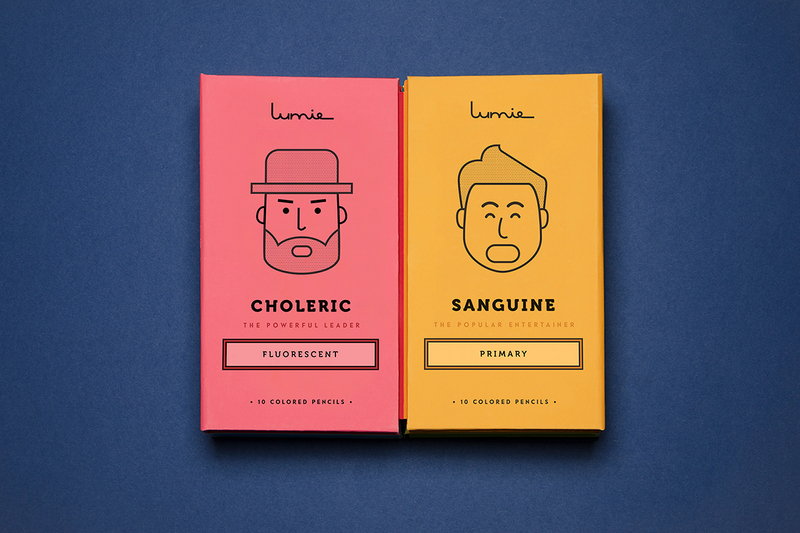 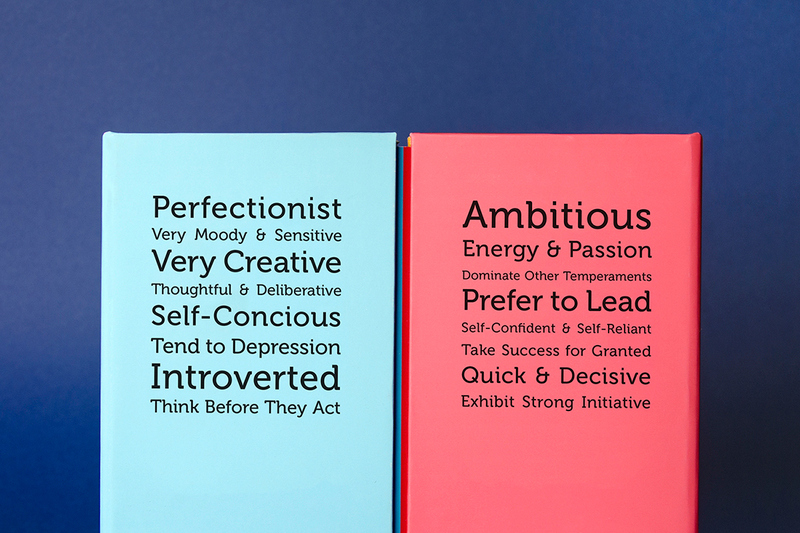 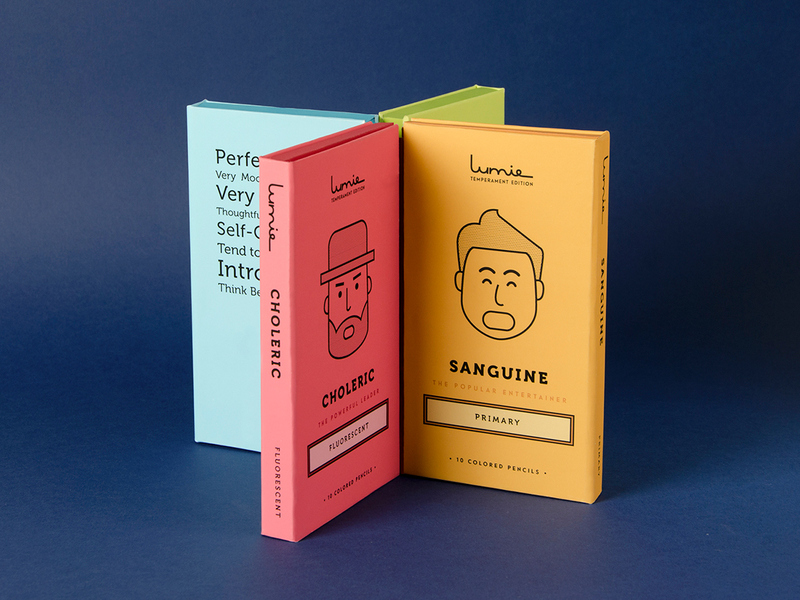 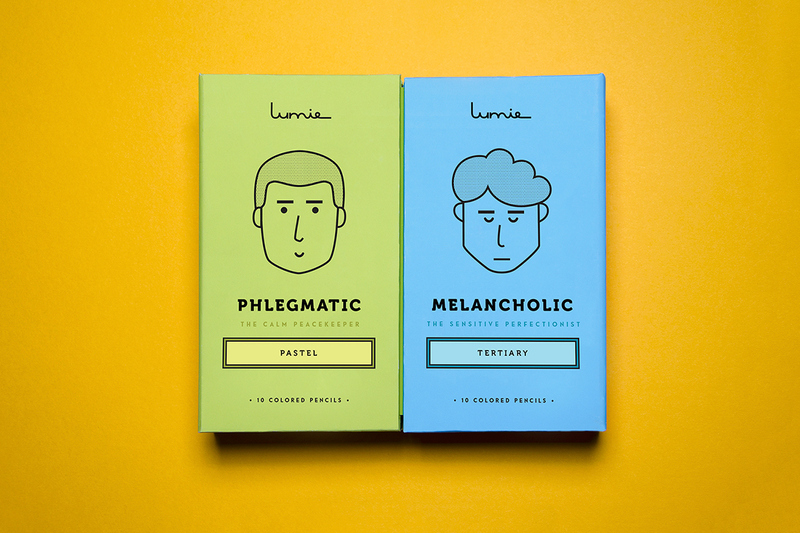 Lumie contains four sets of ten colored pencils based on the Greek “Four Temperaments” psychology theory (Choleric, Sanguine, Phlegmatic, Melancholic) that are represented in the different color schemes. 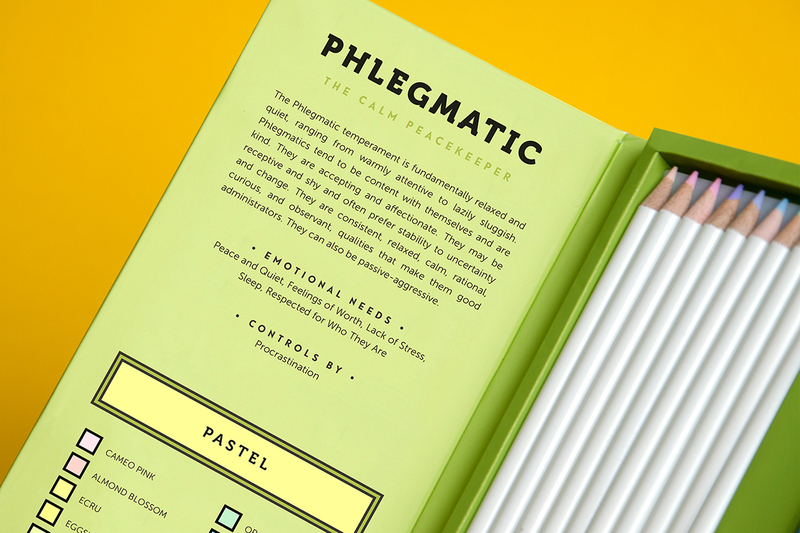 The product consists of fluorescent, primary, pastel and tertiary color sets, which personifies the different temperaments. 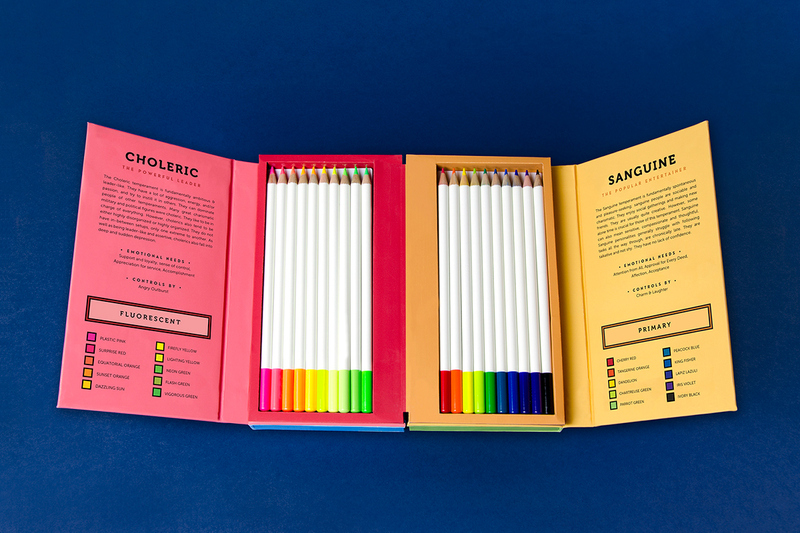 Simple line art is used to elevate the design and to appeal as a professional, educational, and fun colored pencil brand. 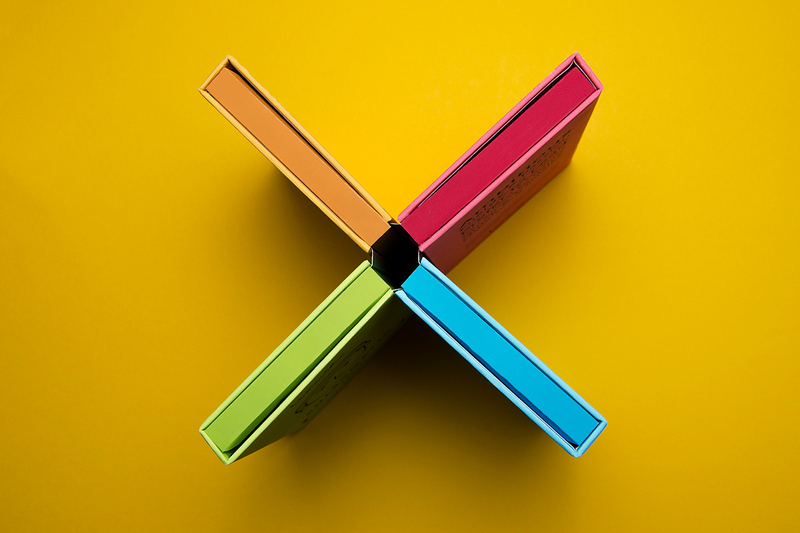 The package design is based on a structure of stacked books to advocate the educational aspects of the product. 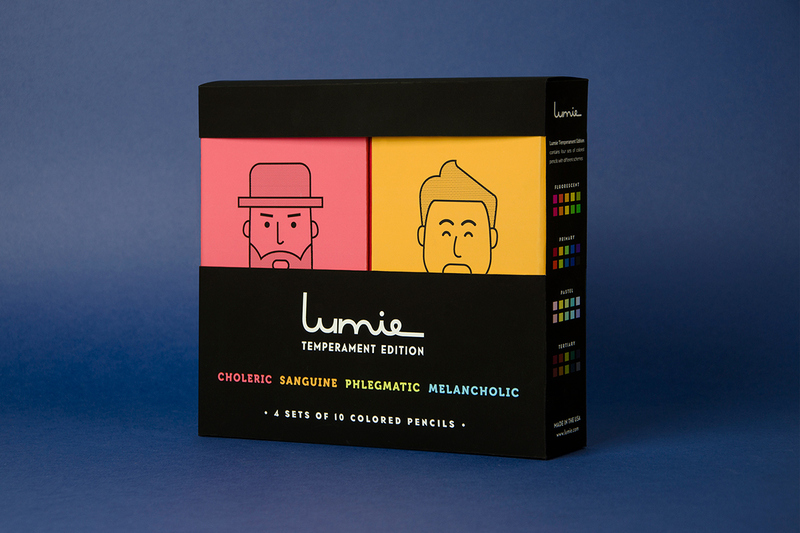 LUMIE Temperament Edition contains four sets of different scheme of colored pencils, which consist of fluorescent, primary, pastel and tertiary color sets. 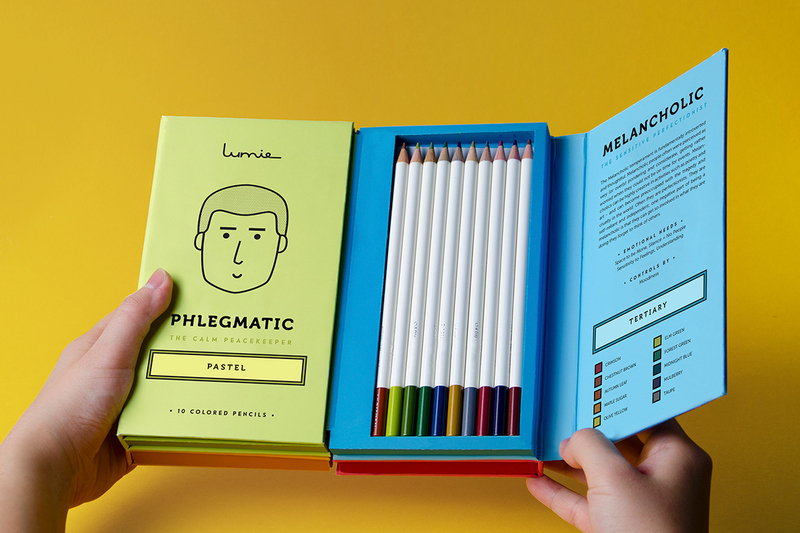 The concept behind these colored pencil sets is based on the “Four Temperaments” Psychology theory (Choleric, Sanguine, Phlegmatic, Melancholic) that represents different color scheme.